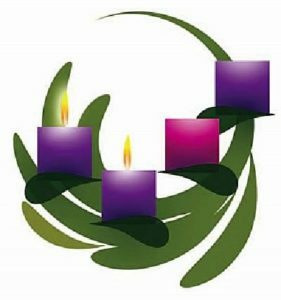 During the Advent season, the lectionary readings and their vivid imagery portray a "kingdom" reality that seems surreal and other worldly. Mountains quaking at the very presence of God. Lions lying down with lambs. And one who will bring good news to the oppressed, bind up the brokenhearted, proclaim liberty to the captives, and comfort all who mourn. We declare the beautiful and audacious promises of God, that one day hope, peace, joy, and love will reign supreme. Yet, then as Kara Root writes in the Absurdity of Advent, "And then people get into their cars and drive back into the swirling vortex of charity drives, jewelry commercials, consumer guilt, family pressures, and worries about money drowned out by tinsel, carols, baked sweets and promises of incredible interest-free financing for 18 months. And the words of peace and hope for an amped-up and worn-out world seem quaint and pretend. Not really real at all." Root later describes what feels real to her in the weeks leading up to Christmas. She writes, "I can describe for you the smell walking through the mall, the taste inside my seasonal red Starbucks cup, the sound of the 24/7 holiday music stations and the feeling each time I hand over my credit card. And when I turn on the news and see more war and starvation and sickness, and when I look into my own life and the lives of those I love, and let myself notice all the brokenness and anger, the sadness and stuckness, I can even sometimes admit that there's an easy and sickly sweet comfort in succumbing to the holiday buzz. Where the perfect gift can heal the breach and the brightness of children in scarves and puppies in bows obscures for a while the darkness inside us and around us." Yes, as she suggests, there is an absurdity to Advent. It is the absurdity of the incarnation, of God becoming flesh. It is the absurdity of believing and trusting in another reality, beyond the reality of what we presently know, and in another power above the powers of this world. It is the absurdity that the kingdom of God is yet evolving, being created, and springing forth each moment, when we as the people of God dare to live in Hope and walk through the dark into the Light of Christ's love. We are the ones who can participate in the hills of injustice being made low. We are the ones who can work to smooth out the rough places for those who struggle and suffer under the weight of oppression and inequality. We are the ones who can beat the swords of intolerance and hatred into plowshares of acceptance and love. We are the ones who can commit ourselves to empowering the lambs to speak, stand or rise up against the lions who misuse and abuse their power and authority. How? When we are bold enough to believe and embody the essence of Emmanuel-God with Us, God Among Us and God For Us. Sounds absurd? Maybe--but this is the absurdity of Advent.